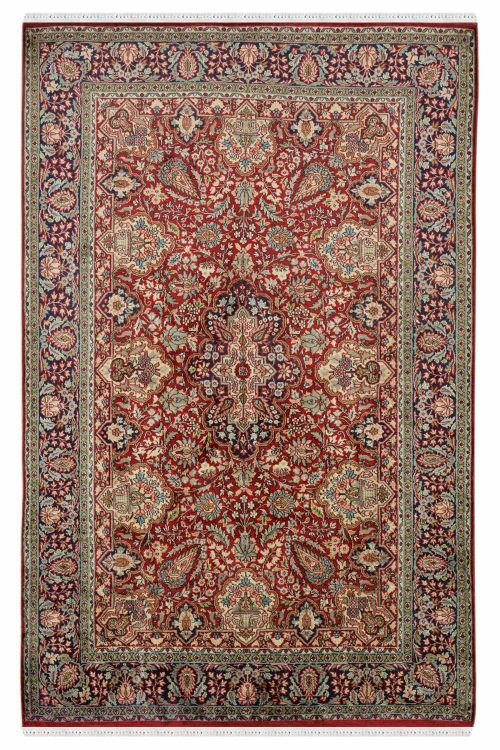 This design is originated in the 17th century and implemented by our skilled craftsmen in this carpet. 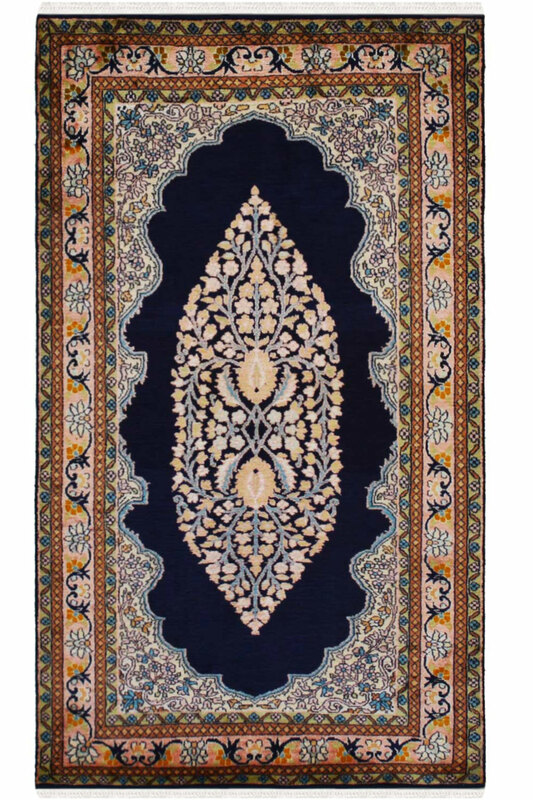 This carpet is in Dark blue and ivory color. It has a beautiful pattern in center with the very tiny floral pattern. 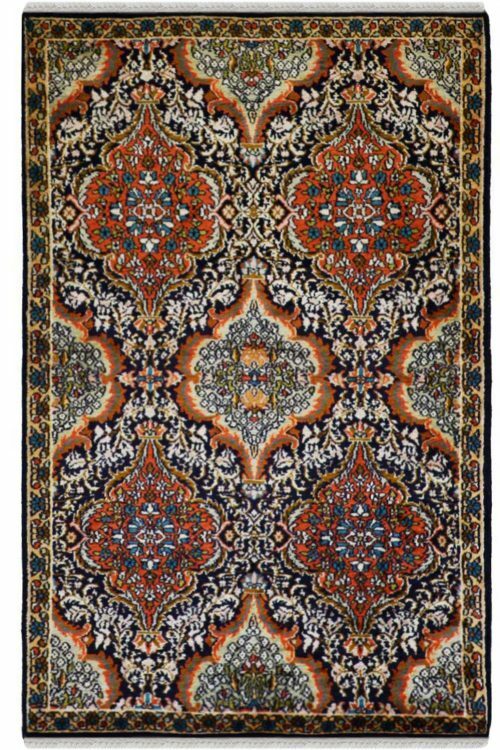 This carpet has very smooth touching due to kashmir silk. 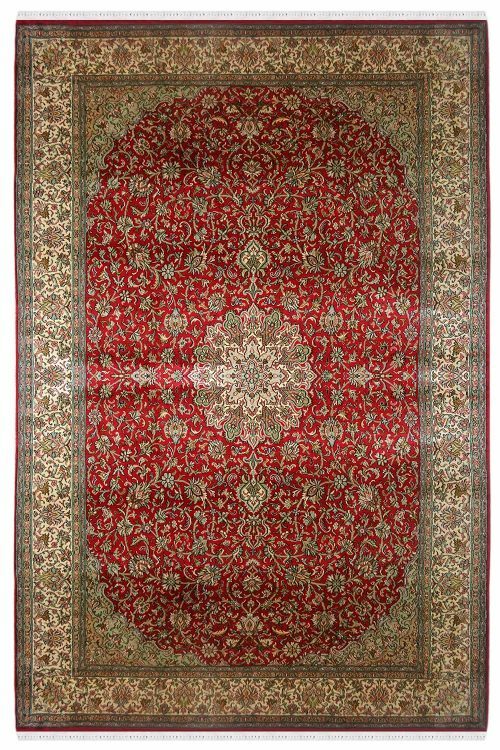 This is cotton based Kashmir silk carpet. Base on cotton and kashmir silk on top. Number of Knots in this rug are 324 knots per square inch. 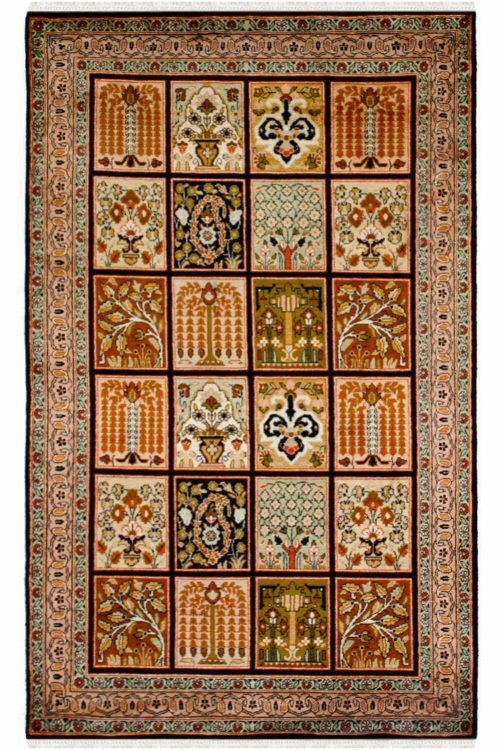 It has very high durable rug. It has taken approximately 7 months to weave this beauty.